The Bizmod Change mission is to play a key role in helping projects meet business-, schedule- and budget objectives. 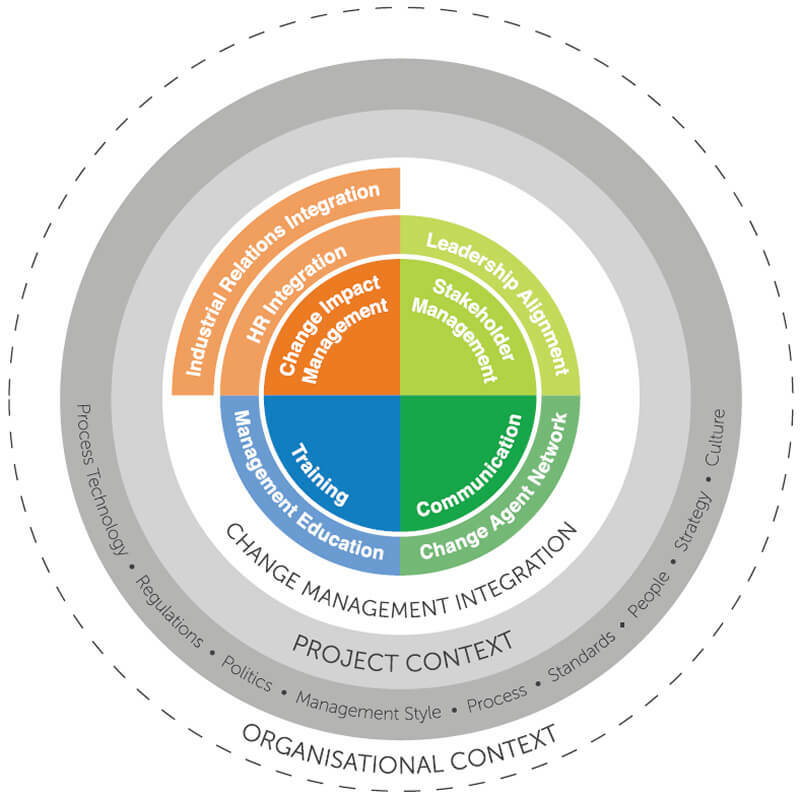 Bizmod Change Managers focus on the people side of change – including changes to business processes, systems and technology, as well as job roles and organizational structures. The primary focus is to create and implement Change Management plans that minimize employee resistance and maximize employee engagement. on the changes impacting employees in the organization. In the end, this benefits the business as business results are achieved early on. Stakeholder Engagement Communication and Training, the addition of Change Impact Management is often underestimated. Our years of experience have shown that the most value is often derived from Change Impact Management. We believe that it is a key differentiator. Organizations have to cope with changes on numerous levels: personal, systems, departmental, work and environment. Bizmod has been involved in successfully implementing Mergers & Acquisitions strategies in various industries and have built a significant and specialised competence in a practical approach to Change Management. Change Management deals with effectively implementing process, technological or organisational change. Done right, it effectively manages and reduces resistance to change through clear communication. It is not a process improvement method, nor is it a technique for improving the performance of an organization. Rather, it is a necessary component to allow an organisational performance process to stand the best chance of succeeding.